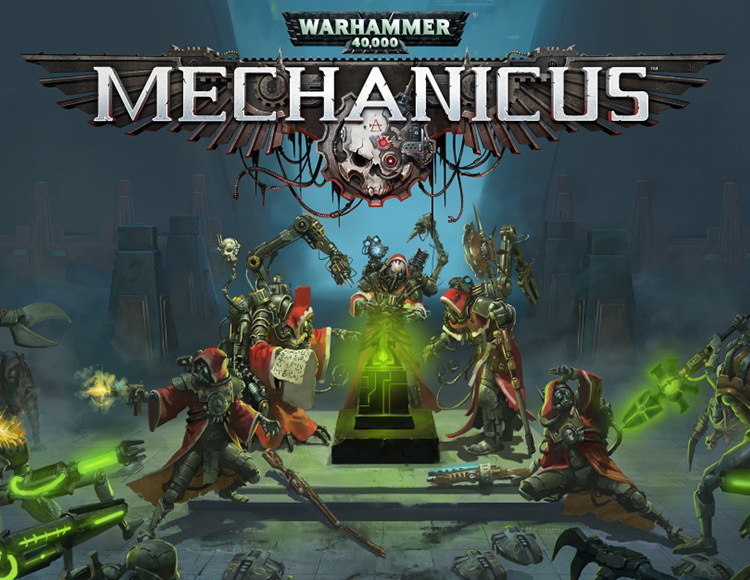 After payment you get a link by which you can get the license key with the game Warhammer 40,000: Mechanicus from the official distributor - the company "Buka". Your flesh is nothing. Become a tech-priest, replace your mortal limbs with powerful sacred metal grabs. You have unlimited possibilities that expand the number of mission outcomes. Dare and win. Empire is waiting. Exciting plot and heavy burden. The decisions taken by Faustinius determine where the path of enlightenment will lead you. Many alternative outcomes, forks and moral dilemmas will turn your journey into a unique experience, to which you want to return again and again. Learn the world. Scan and collect information about who used to live on the planet Silva Tenebris. Look for valuable data on abandoned graves, improve your tech pioneers and find clues to what you should be wary of. Story from the iconic author. The honorary author of Black Library had a hand in writing and adapting the harsh annals of the Adeptus Mechanicus. Each decision leads to victory or defeat, be vigilant and severe, as severe as Ben Counter and his fanatical adherence to the dogmas of the Imperium.